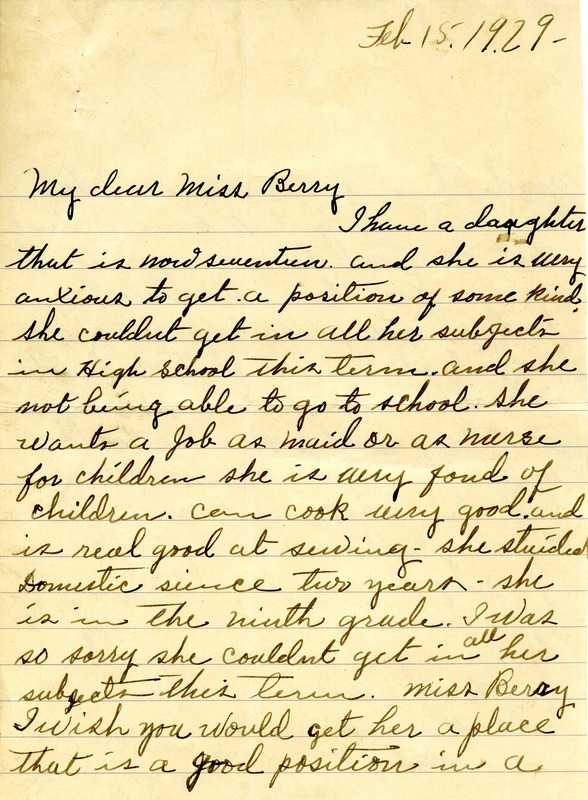 Green asks for Berry's help in finding a place as a maid or nurse for her 17 year-old daughter, who has been unable to finish her schooling at home. 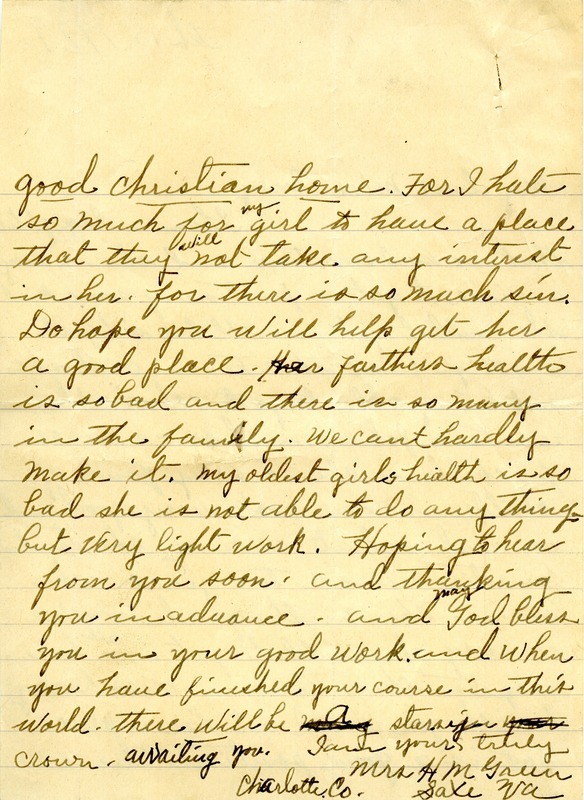 Mrs. H. M. Green, “Letter to Martha Berry from Mrs. H.M. Green.” Martha Berry Digital Archive. Eds. Schlitz, Stephanie A., Meg Ratliff, Sherre Harrington, et al. Mount Berry: Berry College, 2012. accessed April 26, 2019, https://mbda.berry.edu/items/show/10113.